A Multi-Function sanding tool with replaceable discs. SAVE $20! Tackle those small sanding projects with ease! Compact and durable build with a powerful 1.1 AMP variable speed motor. 1150 to 3600 RPM with a 5" peel n' stick (PSA) sanding surface. 1/4" micro t-slot, with tilt angle capabilities from -10° to 50°. 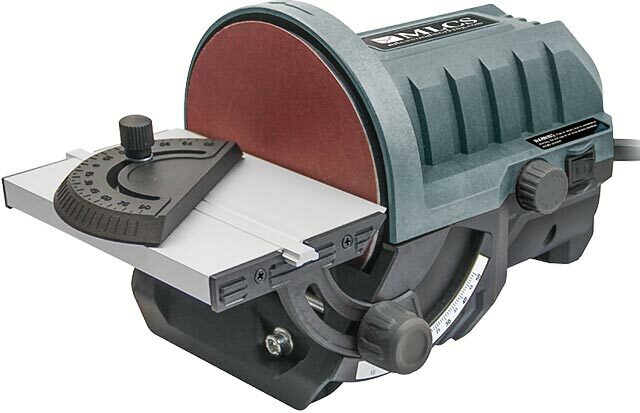 Package includes bench clamp, dust port adapter, 0-90° left/right miter gauge, 3 sanding discs - 80/150/240 grit.